Flack on Friday: FTI's football glory, comms buzzword hell, and PR for £0? In Flack this week: FTI scores big, a cut-price council PR deal is not what it seems, and which PR buzzword could be next for the chop? In a sporting contest that somehow failed to get swathes of media cut-through, seven-a-side football teams from Burson-Marsteller, Edelman and FTI Consulting assembled in Vauxhall on Wednesday night to duke it out in a three-way tournament. 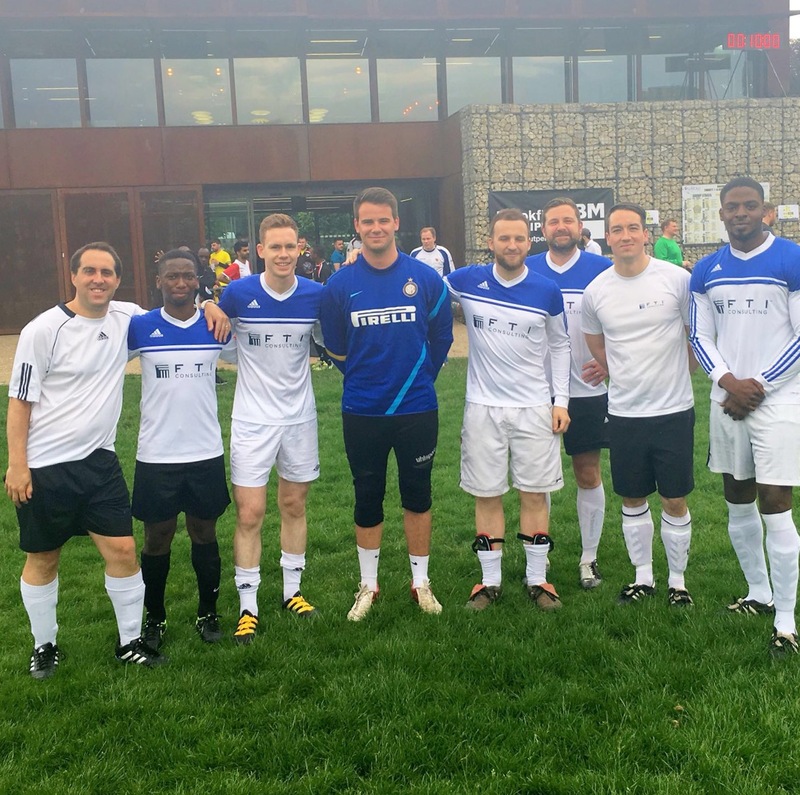 With an 8-1 thumping of Burson and a 4-1 triumph over Edelman, FTI came out on top. The consolation match saw Edelman win 4-2 against Burson. Thanks to Burson for the invite to attend, including the obligatory post-match pub trip, although Flack was otherwise engaged. It is hard to see why it then ended up being FTI (pictured below), not Burson, who notified Flack of the scores. Beleaguered exec Sir Philip Green had an ingenious plan to stop himself being door-stopped by journalists – get off dry land and onto his yacht. Nonetheless, a Sky journalist slapped on some sun cream and tracked the vessel down in the Greek islands. Flack contacted Neil Bennett, the Maitland boss who has been advising Green of late, earlier in the week. Bennett was also on holiday – and Flack is now regretting not having asked where, in the hope of being sent out to whatever exotic location, purely in the name of journalism, of course. We know that PR people sometimes feel like the poor relation next to their better-funded peers in related disciplines and Flack has, perhaps, discovered why the industry is living in penury. The intrepid Simon Francis, co-chair of the PRCA’s charities group, tweeted a screen grab of a procurement notice earlier this week from Milton Keynes Council calling for PR pros to support the town’s 50th anniversary celebrations next year (we know, but let’s not go there – yet). The pertinent facts follow: Communicate key messages? Check. Reach out to audiences in Milton Keynes and beyond (best of British luck with that one)? Check. Value of contract: £0. Haaaaaang on a minute, £0? Let’s get this straight – PR pro needed to promote town with serious image problem in its 50th year. No budget. As a public service, Flack enquired of the council whether this was, in fact, so. After being told that the council could not access its own procurement website to verify without officially registering an interest, Flack was at least relieved to be told that the budget for this task is in fact "up to £30,000". Don’t get trampled in the rush everyone. (You’re welcome). This week Flack enjoyed a fun bit of PR opportunism from the agency Mc&T, for its client Giffgaff. 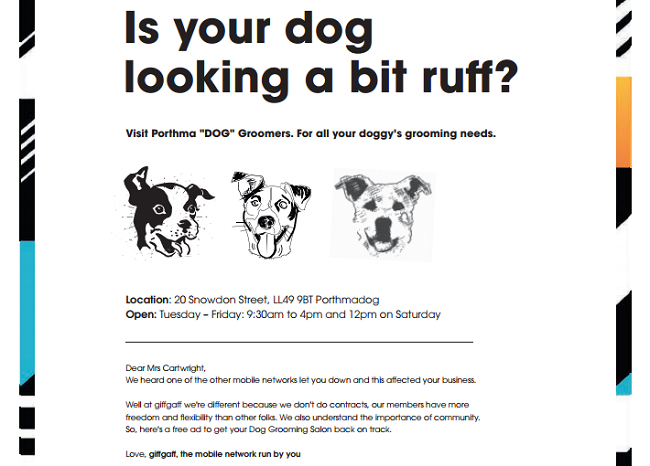 After a dog grooming parlour owner in North Wales padlocked herself to an EE store to protest that the network's dodgy signal was losing her business, it took out an ad in the local paper on her behalf (and on behalf of Giffgaff, of course), with its "cheeky dig" earning it a glowing write-up in the paper. Flack is a fan of www.prbuzzsaw.com, the website from Houston PR that highlights the most achingly awful buzzwords and phrased used by the industry that must be banished. We’re updating https://t.co/ogDwB7NQ6h this week. New entries arriving today, including ‘hyperconverged’ which i guess means ‘squashed’?? [Shudders]. One for the list, Hamish.